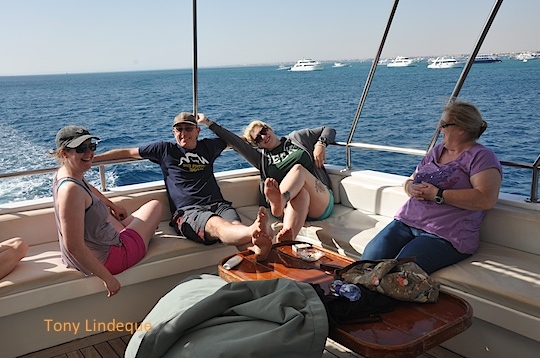 We returned from our Red Sea liveaboard trip on Sunday, and have been slowly returning to normal life (essentially doing things other than eating, sleeping, diving in warm water with magnificent visibility, and lounging around on deck like millionaires). It’s been tough. 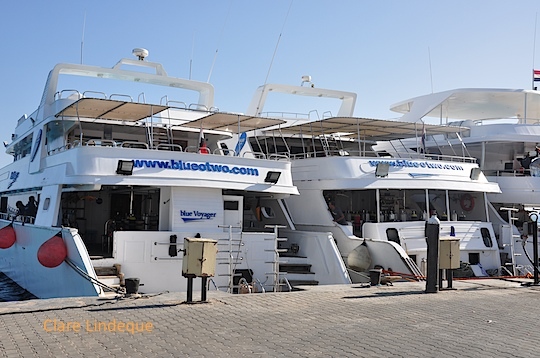 The itinerary we followed was the Northern Wrecks and Reefs one offered by blue o two. Our vessel was M/Y blue Melody, on the right in the photo above. We dived wrecks like the Thistlegorm, Giannis D, and Chrisoula K, and a number of reefs. We did a couple of spectacular drift dives, and on most of the wrecks there was the opportunity to go inside for the suitably qualified. It was compulsory to dive with an SMB. The most memorable reef dives were done inside the Ras Mohammed National Park. Life on board the boat had a simple rhythm: dive, eat, sleep, repeat. During surface intervals the crew moved to new sites, and we either dived directly from the liveaboard or were transported short distances (in full kit) on Zodiacs – rubber ducks like the ones we use in Cape Town. During the time we were away, we had the opportunity to do 21 dives of which four were night dives. The diving was spread over six days. We skipped a couple of dives for various reasons including tiredness and illness, but overall managed to do a lot of diving in a short space of time. The warm water and helpfulness of the crew meant that it wasn’t nearly as physically taxing as you’d imagine. We used Nitrox throughout, not so much because we were doing particularly deep dives and needed the extra time (though it certainly helped), but for overall health reasons and to minimise fatigue. Most of the time we were within sight of land. 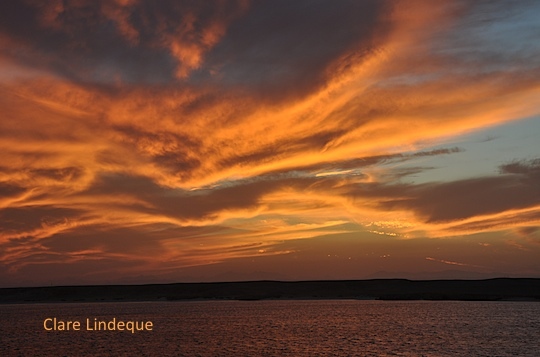 The landscape is mainly desert, with spectacular sunrises and sunsets. The reefs rise to within a few feet of the surface, and are clearly visible from the boat when it isn’t moving. Navigation in the Red Sea must be very tricky for the inexperienced, however. The number of spectacular wrecks is testament to this! 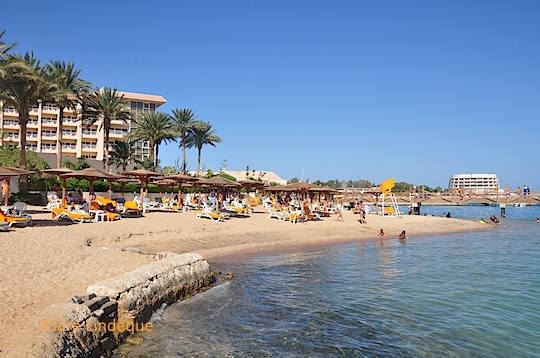 The day we arrived in Egypt and the day of our departure were mostly spent at the Marriott Hotel in Hurghada, waiting to board our vessel (the first day) and the plane (the last day). We lounged by the pool and checked out the private beach there, and felt very relaxed. 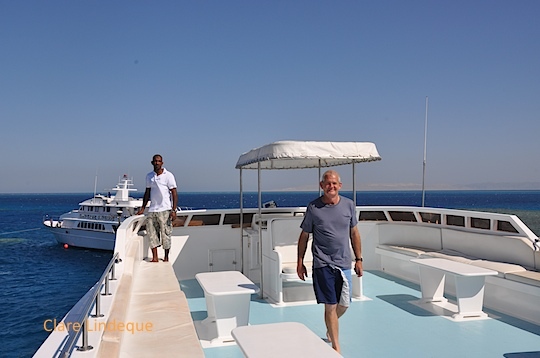 Prior to the trip we had some (understandable) concerns regarding the safety of travelling through Egypt to get to the liveaboard, but we kept tabs on the travel advice provided by the Foreign and Commonwealth Office of the UK. Since we would merely be in transit through Cairo airport, and would not actually be sleeping a single night on land, we were happy to go ahead with the trip. 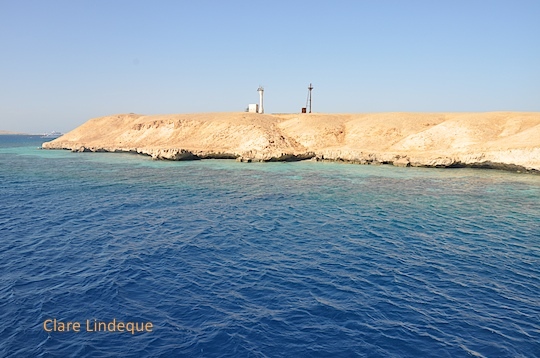 The Red Sea coastal area has been extremely calm throughout the recent unrest, and, as it derives 95% of its revenue from tourism, the locals have been keen to keep it that way. We took a lot of photo and video on the trip, and will be sorting through it and sharing it over the next couple of months. Watch this space!